The most dramatic activity of the night occurs at the end of the meeting starting at timestamp 2:45:50. This is worth watching. Councilman Steve Glover takes to the floor and expresses anger at the city for spending money on the stadium project when the money had not yet been appropriated. $135,000 has was spend out of the Bridgestone Arena account for design work on the MLS stadium. Glover announced that at the next council meeting it would invoke "rule 36" which allows a council to rescind an action taken by a previous council. Councilman Sledge, a proponent of the MLS deal, in what I think was a gutsy parliamentary move takes to the floor and says, "Let's do it now." He invokes rule 36 and forces a vote. Rule 36 rescinds a previous positive motion of the Council. Apparently realizing that with several members absent, now was a better chance of defeating Glover's effort than waiting until April 3rd. A motion to rescind takes 27 votes. Note however, that if a motion to rescind fails, it can be brought up again. So tonight's action would not stop Glover from invoking rule 36 on April 4th as he said he planned to do. The Council approved the stadium deal in November but bonds have not yet been sold. The proposal to sale bond to fund the deal will have to come back to the Council and will require 27 votes, so the city is spending money not yet appropriated. It is possible that the city could build the stadium in a location other than the fairground. The November action conditionally stated the fairground would be the location. The city should not be spending money on a project until it has the money. I share Councilman Glover's outrage. Several members take to the floor. Some argue that we need to resend as a way to send a message to the administration that it cannot spend money not appropriated. Others argue that Metro will be subject to liabilities if it rescinds the MLS deal. The MLS development team has already spend money relying on the Council's November vote. This is disputed saying it has always been clear that until the Council approves the bonds no deal is final. A motion is made by Councilman Hagar to table the motion to rescind but that motion fails. Back on the motion to rescind after more discussion the motion to rescind fails by a vote of 8 in favor and 16 opposed. Please watch this blog for a list of how members of the Council voted on this issue. At three and a half hours long, this is a long meeting. If you are going to watch the meeting, you need an agenda and the staff analysis to know what is going on. You can get those at this link along with my commentary on the agenda. These are the meeting highlights. The meeting is moderated by Sheri Weiner who as President Pro Tem of the Council was elevated to the roll of Vice Mayor replacing David Briley who was elevated to mayor upon the resignation of former Mayor Megan Barry. The first order of business after the pledge and prayer is approving changes to the rules of procedure for the Metro Council. Once the new rules are posted you can find them at the highlighted link. The rule changes are explained from 2.54 to 20:12 in the video. This is of not much interest to the general public but for those who may follow the council closely or have business before the body, it is good to know where to find these rules to understand why some things happen the way they do. Burkley Allen is elected Deputy President Pro Tempore to be next in line to serve as moderator of the Council in the absence of Sheri Weiner. The nominees are Jacobia Dowell and Burkley Allen. On a machine vote Allen is elected receiving 18 votes to 15 for Dowell and six not voting. There are no speeches. All appointments to boards and commission are deferred at the request of the mayor. The current nominations were made by former Mayor Barry and it is understandable that David Briley would want to pick his own appointees to the various boards and commissions. Resolution RS2018-1088 declares eleven parcels of metro owned property surplus and transfers them to selected non-profit organizations for the purpose of developing affordable and "work force" housing. It also grants $10.7 million from the Barnes Fund for Affordable Housing to subsidize the housing development. Woodbine Community Organization, Our Place Nashville, and Living Development Concepts were selected as recipients of the grants and properties. In addition ten other organization get grants to promote the development of affordable housing. This resolution requires 21 affirmative votes to be approved. It passes on consent. Resolution RS2018-1110 concerns the Council investigation of the Mayor Barry scandal. On February 6, 2018, the Metro Council adopted Resolution No. RS2018 calling for a Council investigation. Since then, as everyone knows, Mayor Barry plead guilty to a crime and some of what the Council was to determine has already been determined. So this resolution modifies the prior resolution to clarify that the Special Committee will prepare a Report and Recommendations to the Council about its findings to include any recommendations for further action, as well as recommendations for additions or revisions to the Metropolitan Government Code of Laws, policies, or regulations. In light of what has happened, this seems appropriate. It passes on the consent agenda. Resolution RS2018-1111 authorizes the employment of Burch, Porter &; Johnson, PLLC as Special Counsel to the Metropolitan Council to investigate the Mayor Barry scandal. Since Mayor Barry has already plead guilty to a crime and the scope of the Council investigation will be limited as outlined in resolution 1110 above, my view is that this expenditure is no longer necessary. Councilman Steve Glover makes that point. This resolution does limit the payment to the firm to only 15 hours of billable time at a rate of $395 per hour. After some discussion the resolution fails by a vote of 11 in favor and 22 against. To view the discussion see timestamp 54:34 -1:14:00 in the video. Resolution RS2018-1113 request of the Metro Transit Authority that if the May 1 light rail referendum should be approved, that MTA continue to use the Davidson Transit Organization as its "sole management provider." Regardless of your opinion of the wisdom of Metro pursuing a $9 Billion light rail transit system, this is a dumb idea. Should the referendum pass, Metro should seek the best operator for the system. This resolution is designed to protect the jobs of current bus drivers. A government's job should not be to award patronage or to protect the current employment of current employees but to provide necessary services in the most cost-efficient means possible. This would be non-binding but express the will of the Council. Since MTA must come to the Council for budget approval a resolution like this sends a strong "mere request" to the MTA. Council members Swope and Glover speak against this resolution. It passes on a voice vote with some audible "no" votes. To see the discussion see the video at time stamp 1:14:05- 1:25:45. Resolution RS2018-1120 is a meaningless memorializing resolution expressing the support of the Metropolitan Council for the right of public employees to unionize and urging the Supreme Court to rule in favor of public employees in a case before the Supreme Court. In my view the Council should not be passing resolutions of this nature. I suspect most do not know the complexity of the issue before the court. After all, it must be complex or it would have never have reached the Supreme Court. However, this has no legal impact and is probably not worth opposing. I don't think the Supreme Court is going to be persuaded by an opinion expressed by the Metro Council. The resolutions contains some verbiage about income inequality and recalls the Memphis sanitation workers strike of the 1960's and references the "I am a man" speech. It passes on the consent agenda. 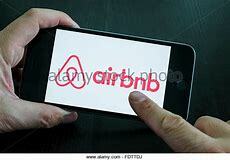 would regulate websites such as Airbnb. It would require these sites to require a Metro permit number for each STRP application prior to placing the property on the online marketplace site. It would also require the sites to provide a detailed quarterly reports to Metro. This is a bad bill and I question if Metro has the authority to compel organizations like Airbnb to do anything. This is deferred three meetings at the request of the sponsor. Bill BL2018-1111 would put under the purview of the Board of Ethical Conduct and the Standards of Conduct those who violate executive orders regarding rules of conduct. Currently this board only has authority to act on those who violate a section of the Metro code concerning standards of conduct. Concern is expressed that this would put too heavy of a burden on employees to defend themselves against complaints filed with the board. This is discussed and then deferred one meeting. To understand the arguments on both sides of this issue you may want to watch the video at timestamp 1:29:18-1:51:15. Bill BL2018-1113 renames a portion of Charlotte Pike to "Dr M L King, Jr Boulevard." Council member Sharon Hunt speaks on the bill as do several other council members, but there was no opposition. Time spend speaking on this bill was unnecessary. It passes on a voice vote. Bills on Third Reading: There are 31 bills on third reading and most are approved zoning bill. These are two disapproved zoning bills, Bill BL2018-1099 and Bill BL2018-1100 which will take 27 votes in favor to be approved. Sometimes because a member may be absent or distracted or take a position that they do not vote for bills disapproved by the Planning Commission or based on their perceived merits of the bill may vote "no" or abstain. In the case of a disapproved bill an abstention is the same as a "no" vote. Sometimes it can be hard to get 27 votes for a bill. I have no opinion on the merits of the bills. Bill 1099 is deferred indefinitely. Bill 1100 by Robert Swope is amended and passes by a voice vote. I was surprised and thought I may have missed something. A disapproved bill requires a machine vote. After consideration of the next two bills, someone must have realized passage of 1100 required a machine vote and a machine vote was taken and the bill passed by a roll call machine vote of 27 in favor, 3 opposed and 9 not voting. So, it passed with no votes to spare.